It feels SO OFFICIAL! My very first cruise and it’s happening later this month. 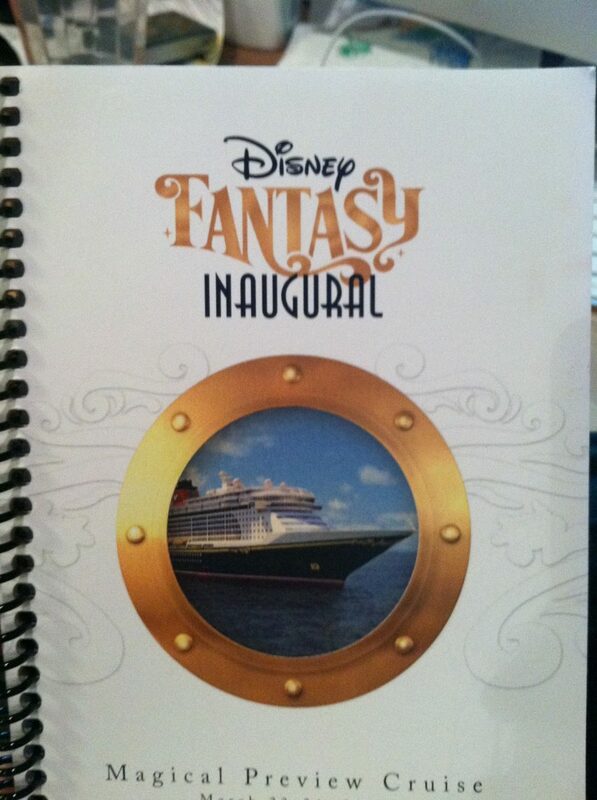 I am so very excited about being part of the Disney Fantasy Inaugural Cruise. I’m going with a fantastic group of women – the Traveling Mom crew! Not only am I going to have fun testing out this new Disney boat, but I’m going to be attending a travel conference with my peers. So very excited!! Have you cruised before? I have to call my doctor to see about getting the patch! I’m so very nervous about getting sea sick. If you’ve worn the patch, did you find it worked for you? I need to get all my cameras in order because I want to document every INCH of the Disney Fantasy ship. I’ve heard such amazing things! Congrats ! If it is for seasickness I recommend sea bands. I have used them on all my cruises ( 9 or something ? ) and never gotten sick. Buy them at any drug store. The best part is they work with your natural body so you can still drink with them on, when you go to port you can take them off, put them on only when its rough and there are no side effects. The Fantasy is a pretty large ship so it shouldnt be too bad at all. I was on the Adventure of the Seas ( 142,000 tons vs 130,00 for Fantasy ) and I couldnt believe the lack of motion.